Friday Night Fights- Ladies' Night Round 11: Toughest. Schoolteacher. Ever. ....and you don't threaten Huntress' kids! 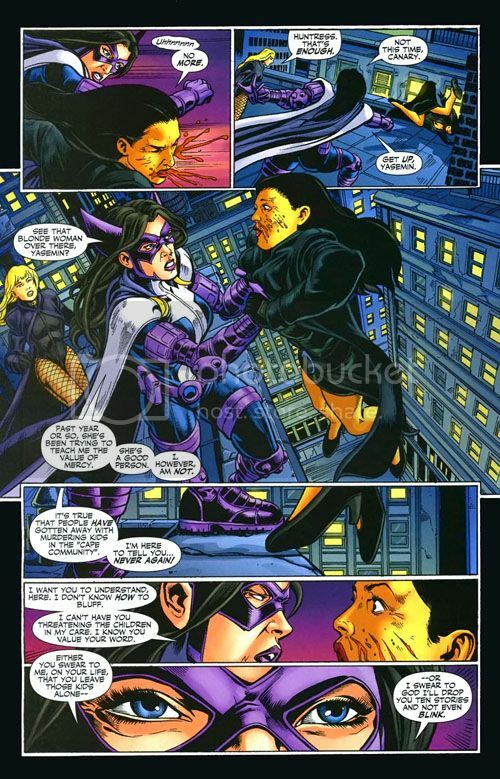 This week's feminine fracas comes to us from Birds of Prey #99. 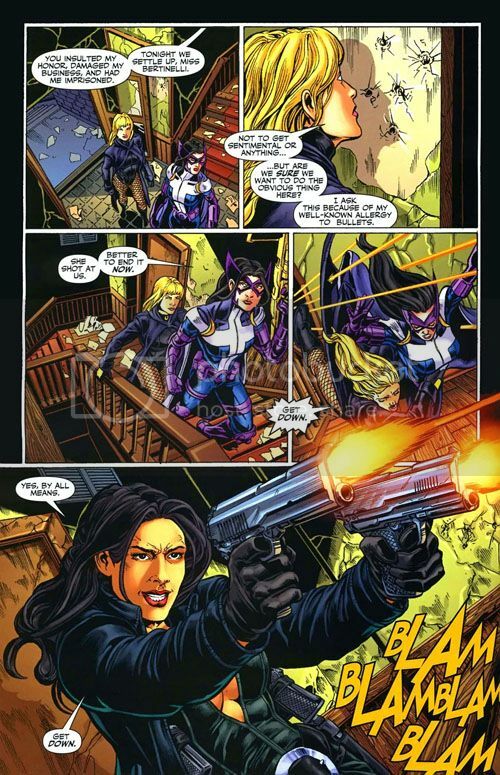 Huntress and Black Canary are facing off against a Turkish gun-runner named Yasemin, whom Helena had previously set up to go to prison. Now Yasemin wants revenge. They pursue her up the stairs. Hey! Turkish Gun-Runner Lady! Leave those kids alone! Next Week: The Grand Finale!! Oh Helena, you're SUCH a baddass. Helena officially ranks as my second favorite schoolteacher of all time.